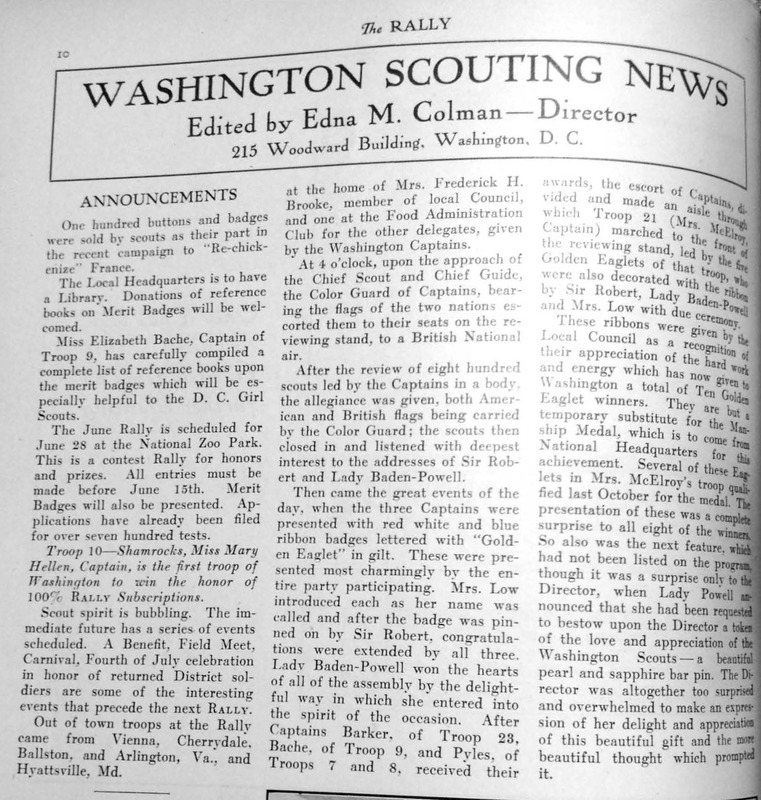 This entry was posted in Archives, Conventions, JGL Birthplace, Little House, Lou Henry Hoover, Memorabilia, Rockwood, Savannah and tagged Girl Scout Council of the Nation's Capital, Girl Scout rally, Girl Scout University, Girl Scouts, Girl Scouts of the USA, GSCNC, GSUSA. Bookmark the permalink. ← Happy Birthday, Lady Baden-Powell! As usual, enjoyed your post. I just followed the link but didn’t see “GS history & preservation” at GS University, even after surfing around on it, trying different key words in the search bar. Either I’m having a massive brain fart, or it’s not there any more. If it’s not there anymore, I hope they re-consider and re-post it. I would love to see the document you wrote about- as would others, I’m sure. Hi Lynn, thanks for catching this. The correct link is: http://gsuniv.org/history/. I updated it within the post. 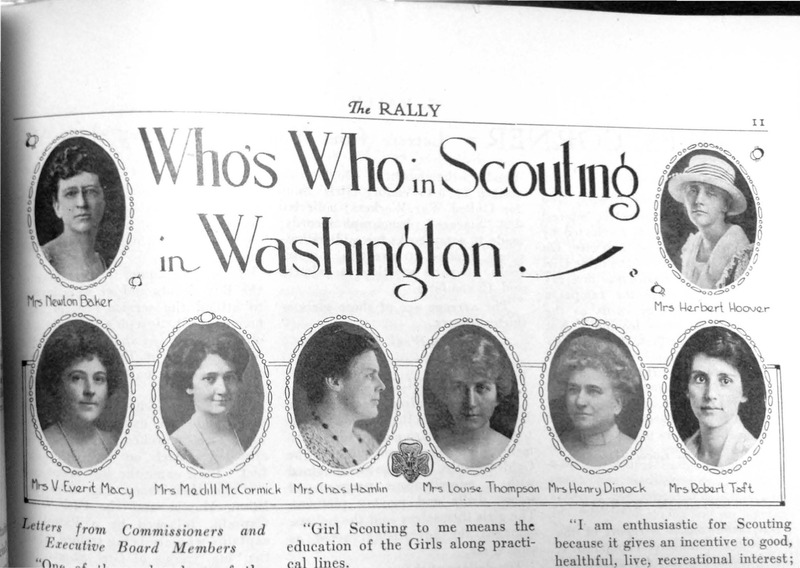 Apparently, there are two GS University sites: http://gsuniv.org/history/ and http://gsuniversity.girlscouts.org/. Go figure….